With pitching like this, you wonder. Just how many games can the Tampa Bay Rays win? They captured their 83rd of the season Monday night in Arlington, shutting down the Texas Rangers in 3-0 victory. 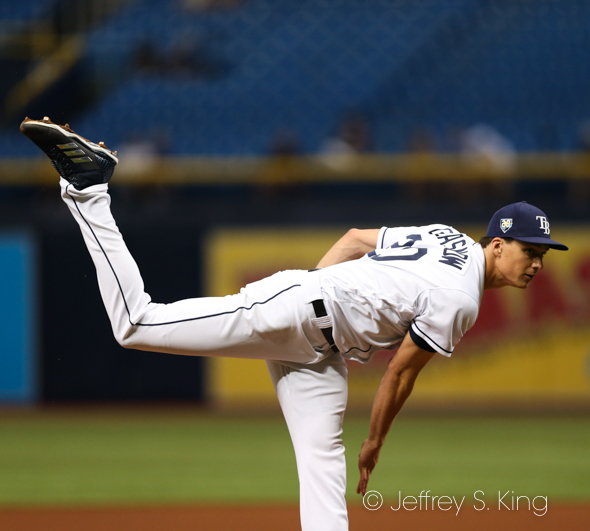 Starter Tyler Glasnow won his first game for the Rays, throwing six innings and allowing only two infield singles along the way. Naturally, the Rays are more focused on trying to catch the Oakland A's, who lead them by 6 1/2 games in the race for the final wild-card berth. But even aside from that, it is easy to wonder how many wins the Rays have in the tank. They have 13 games left, which gives them a legit shot at 90. They are 12-3 in their last 15 games. Since the second wild-card team was introduced in 2012, the only teams that have won 90 and missed the playoffs are the 2013 Rangers (91 wins) and the 2012 Rays (90 wins). The Rays won their 13th shutout of the season. Also shining for the Rays was the bullpen of Adam Kolarek, Jose Alvarado and Sergio Romo, who threw three innings of no-hit, shutout baseball (Romo had a walk). Still, it was Glasnow who was the star for the Rays. After his first inning -- where he had a walk, a hit batter and a wild pitch -- he was in control. “He was outstanding," said Rays' manager Kevin Cash. "I liked everything. He was out of rhythm in the first inning, and he did a nice job of calming everything down and getting the ball over the plate. He had the breaking ball and the fastball going, and he was able to throw some changeups. Just a really strong performance. He had more left in the tank, but I thought he had done his job. Just an outstanding job by Tyler. 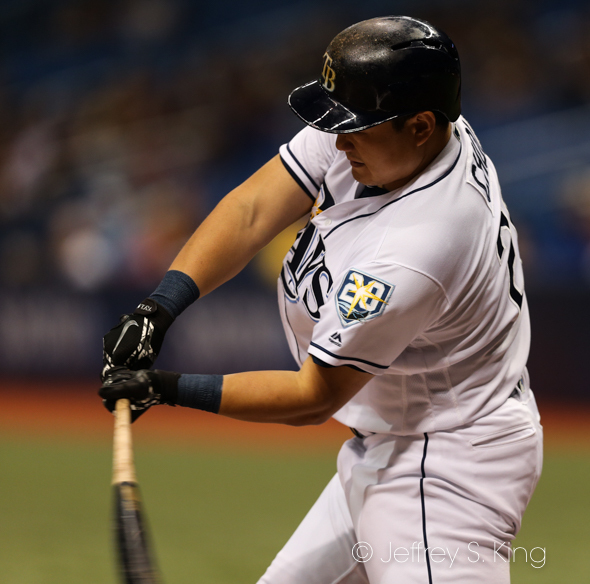 Ji-Man Choi starred again for the Rays at the plate, knocking in a run with a single and adding a home run. "He’s been hot and getting big hits for a couple of weeks right now," Cash said. "It's fair to say that if he got consistent at-bats, you could see some damaging numbers." Tonight, as the Rays and Rangers play again, pitcher Blake Snell goes for his 20th win. He would be only the second Tampa Bay pitcher (after David Price) to win that many. Snell faces Yovani Gallardo at 8:05 p.m.